Step One: Bake your sweet potatoes thoroughly or if you are short on time microwave the sweet potatoes until they are fully cooked and can easily be mashed. Step Two: Preheat oven to 350 degrees Fahrenheit. Prepare a baking sheet by lining with tin foil or parchment paper and spray or coat with coconut oil. 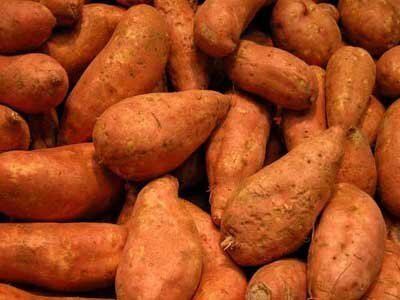 Step Three: Place prepared sweet potatoes in a large bowl and mash the potatoes until they are a good consistency (some people prefer small chunks). Step Five:Using your hands, shape the quinoa mixture into small palm-sized patties and place them on the baking sheet. Step Six: Brush or spray some additional coconut or olive oil on the top of each cake and place in the oven. Bake for 15 minutes or until golden brown! I LOVE SWEET POTATOS! this looks absolutely delish!